Like a shepherd…whose sheep pass beneath his staff, so shall You cause to pass, count, calculate, and consider the soul of all the living…who will live and who will die…who will rest and who will wander, who will live in harmony and who will be harried, who will enjoy tranquility and who will suffer, who will be impoverished and who will be enriched, who will be degraded and who will be exalted. But repentance, prayer and charity remove the evil of the decree. Our cosmic task as their royal successors is to clean out the impurities and actualize the potentials of their fallen empires. HaShem gathers pile after pile of these shards and sends them down into incarnation. That’s how we all begin. Yet as newborns only part of our soul is confined to our body. The rest of our soul, the still-shattered pieces of it, remain strewn throughout the universe. Hashem leads us, moment by moment from coordinate A to coordinate B because there are fragments of ourselves, shattered pieces of our souls, that need to be recovered. When we act in a way that accomplishes Hashem’s purpose for that moment, we raise the spark and absorb its light back into ourselves. In the process, we become a sliver more enlightened. And so it goes, moment by moment, day by day, year by year, we gather sparks and become more whole. The sparks that have already been raised comprise our conscious identity. The still-fallen-sparks, connected to our soul, that lie outside our sphere of awareness constitute our unconscious self. Our mission is to collect all the sparks connected to our soul. But not all sparks are alike. Some are a pleasure to gather, while others take blood, sweat, and a lot of tears. Some sparks lie in holy terrain while others inhabit forbidden realms. To extricate the latter entails great ordeal. Their lessons are learned (and lights are absorbed) through the school of hard knocks. Most would prefer to avoid that route but they don’t heed the signs till its way too late. On Rosh Hashana (according to kabbala) HaShem decides which sparks will be raised this year and where they will lie waiting. This new batch of subconscious lights, called gevurot (dark knots of unactualized potential synonymous with sparks) that we will unpack and integrate this year, gets selected on Rosh HaShana through a process that kabbala calls nesira. (2) Let’s try to understand what that means. Each soul comes in with a long list of sparks that only it can raise. Failure is not an option. 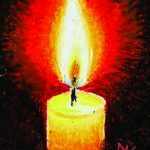 Each year, on Rosh HaShana HaShem reviews our past performance and the current balance in our spiritual accounts, tallying the sparks already collected and those that still need to be raised. Based on projections of lifespan and other relevant indices, HaShem selects the sparks that will comprise our spiritual agenda this coming New Year. 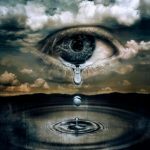 This assessment happens mostly without our input; it is just the fact of who we are and where we stand and what HaShem decides we have to learn about the world this year. The next determination that occurs on Rosh HaShana is where these sparks will reside while they wait for us to raise them. How will we encounter them? Will they lie along a pleasant path, the preferred course of our life or will they require tedious detours, calamities, and costly rescue missions? What will it take to absorb their lights into our souls—to integrate their flashes of wisdom into our hearts? This decision, to a large extent, depends upon us, for oftentimes an option exists. For example, a severely debased spark would naturally reside in the more polluted layers of reality, serving as the life force of some forbidden thing. Since a spark can only be raised by contact, someone must go there to pull it out, which means that fallen sparks get raised by fallen people. (3) The only folks who enter its domain are law-breakers, for the only way to get there is by trespassing the Torah’s bounds. The transgressor will enjoy (perhaps) a moment of pleasure but the cost of his misdeed will soon outweigh its gains. In the end (which may be in this life or another), he will realize (and integrate to his bones) that crime doesn’t pay—that one who violates spiritual law never comes out ahead. And that realization is itself the spark of consciousness absorbed by the wrongdoing (or at least some portion of it). But what an exhausting ordeal; what a massive amount of unnecessary pain. Perhaps that same message could have been integrated through study, meditation, good deeds or community service. So why didn’t Hashem just plant the spark in a more wholesome environ? Why does he bury sparks in wayward places where people must stumble in order to raise them? The answer is that the spark’s placement depends, to a large extent, upon us. The default position for a turbid spark is in some forbidden deed or object for that is the way this grimy spark expresses itself on the physical plane. Yet (at least theoretically) it is also possible to contact this spark without stooping to its unseemly level. But that requires a different kind of labor. At a higher (and holier) plane, these same sparks are present but they are nearly invisible—they can only be found on the inner, subtle strata of that world. This makes them difficult to access. A person must bore through many layers of appearance to contact this unrectified spark at a level that is above its “natural home,” before it intersects the outer, physical plane and presents itself as a tempting misdeed. And so, on Rosh HaShana, when HaShem decides where to place our sparks, He positions them at sites that we are likely to traverse in the coming year. And that depends (to a large extent) upon us: Do we float through life without goals or commitments, reacting to circumstance and avoiding discomfort? In that case our sparks must lie on the surface, because we are not the type to push through the façade, sacrifice for authenticity, self-reflect, or go deep. And that means that even when an option exists (which is not always the case) our spark will reside at the lower position (the messier alternative) which requires fall, purgation, and teshuva for its release. On the other hand, when we set goals and diligently work toward them, we develop the muscle of persistence and learn to stick to our commitments despite theirs costs. By articulating our goals we anchor ourselves in the deeper layers of life. It is no coincidence that one of the main preparations advised for Rosh HaShana is to formulate our aspirations as a prayer vision for ourselves and our loved ones and our holy people, Land, and planet this coming year. 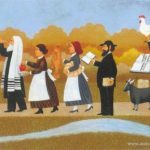 So I want to bless us as individuals and as a community that we use these last days before Rosh HaShana to commit ourselves to the high road and make a plan of how to get there. May we stick to our commitments and strengthen our capacity to “go deep” in whatever is the priority of our lives: whether it be to think deep, or pray deep, love deep or serve deep, or just be a mentsch in the deepest sense of the word. May the sparks that appear on our to-do list this year be lodged in lovely places. May the combined power of our prayers and visions transform our lives in ways that are only good. And may they create a vessel of vision and commitment that is big enough and strong enough to pull the spark of mashiach into the world now. 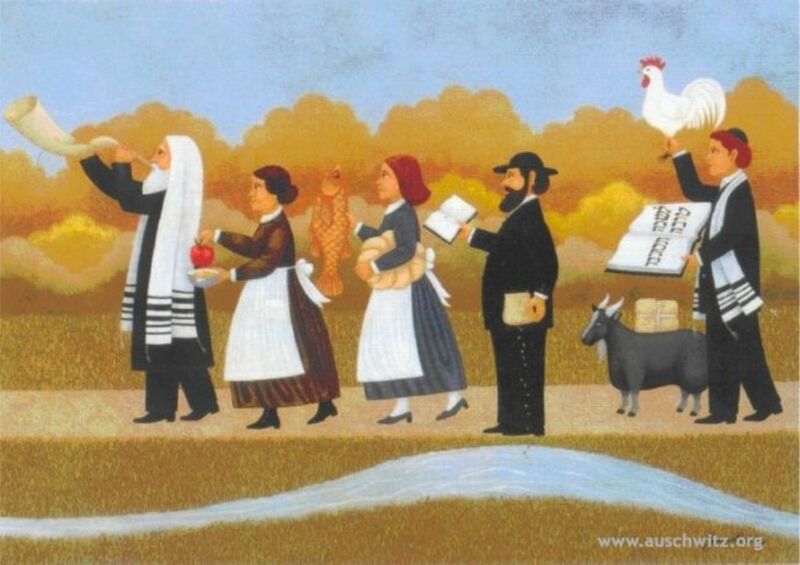 2) R. Isaac Luria (Ari), Eytz Chayim, Shaar HaKavanot, Rosh HaShana. For a clear explanation of this term and its process see Kabbalistic Writings on the Nature of Masculine and Feminine by Sarah Yehudit Schneider and available on the Still Small Voice website (www.astillsmallvoice.org). 3) Toldos Yakov yosef, Parshat Metsora, daf 103, amud 4. Appears in the Torah of the Baal Shem Tov, Acharei Mot 10.